Batting: Ab de Villiers 44 off 23 balls, Brendon McCullum 43 off 27 balls, Mandeep Singh 37 off 18 balls. Bowling: Nitish Rana 2/11 in 1 over, Vinay Kumar 2/30 in 2 overs. Batting: Sunil Narine 50 from 19 balls, Nitish Rana 34 from 25 balls, Dinesh Karthik 35* from 29 balls. Bowling: Chris Woakes 3/36 in 4 overs, Umesh Yadav 2/27 in 4 overs. 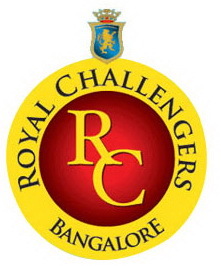 It was a battle of RCB the batting giants and KKR the team that was relying on its match winners. Both teams were in search to register their first win in the IPL 2018. Kolkata won the toss and elected to field first on their home ground. RCB innings went underway and despite losing Quinton de Kock early they got off to a blazing start. After losing Brendon McCullum, Virat Kohli and Ab de Villiers laid a solid platform for RCB. 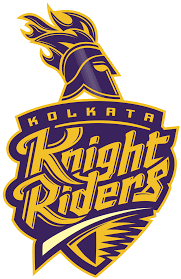 However, Nitish Rana’s double strike allowed Kolkata Knight Riders to make a comeback in this match. Kolkata seemed to be perfectly in control when Mandeep Singh’s blasting cameo in the death overs acted as a final nail in the coffin. This propelled RCB to a total of 176 runs in 20 overs. KKR now needed 177 runs from 20 overs. YS Chahal was given the new ball but Virat Kohli quickly realized his mistake as Narine went berserk from the very first ball. Narine reached his fourth fastest fifty with good support from the other end. After he got out RCB took the wicket of Uthappa and calmed things down for a little bit. However, KKR captain Dinesh Karthik and Sunil Narine shared an exceptional partnership to steady their team’s ship. And, even after Nitish got out Andre Russell contributed a valuable innings by scoring 15 off 11 balls after Chris Woakes got rid of him. It all came down to Dinesh Karthik and Vinay Kumar in the end. And, both batsmen played quite cautiously to hand KKR their first win for the season. KKR finished this match in the 19thover with 7 balls to spare and are now leading in the points table of the match. Meanwhile, RCB fought well but they should have scored 20-30 runs more to win this match.